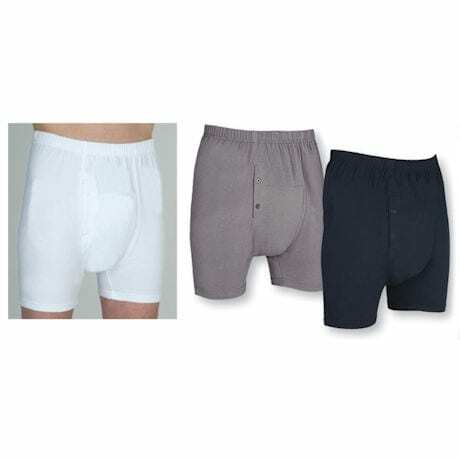 Protect against light to moderate incontinence without the need for disposable inserts. 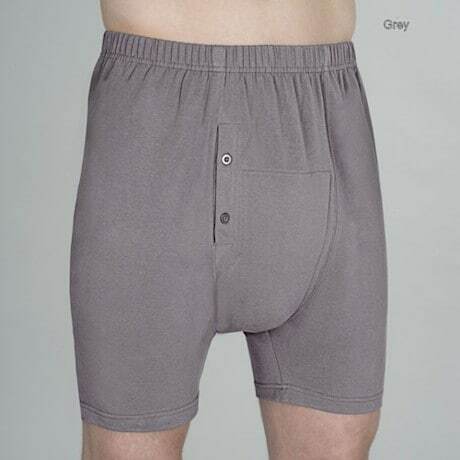 Knit boxer briefs feature sewn-in, super absorbent pad for all day comfort and confidence. 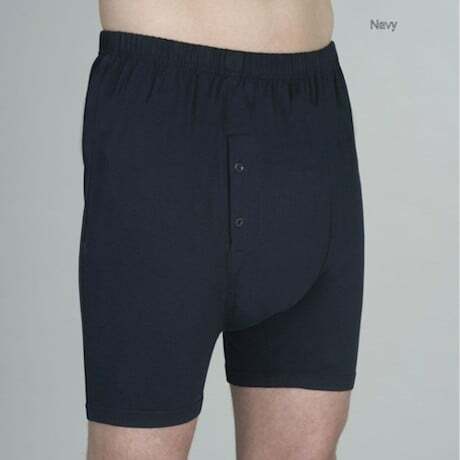 Soft cotton/poly blend jersey is made with antimicrobial fibers to prevent odors caused by bacteria for worry-free wear. Functional fly opening with button secure. Machine wash up to 200 times. Imported. L(38-40").